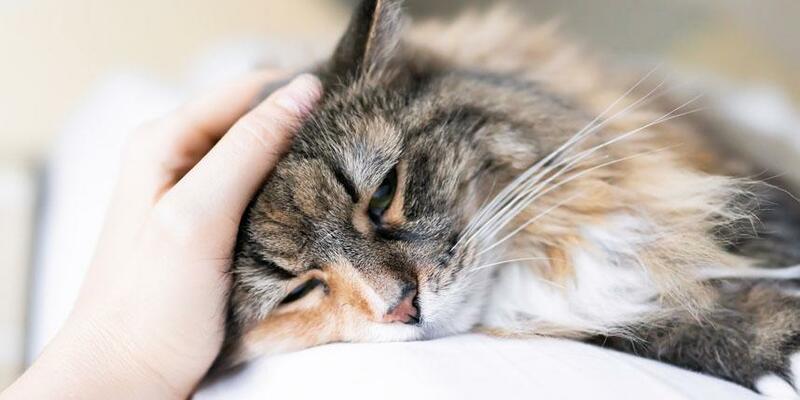 This month is Pet Cancer Awareness Month, so we’re taking a moment to focus on a disease that’s often not diagnosed in cats until it’s too late. 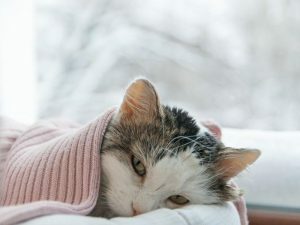 While cancer is slightly less common in cats than dogs – it tends to be more aggressive in cats and is typically not diagnosed until it reaches later stages because cats often mask their symptoms. Simply put, cat cancer comes in all shapes and sizes — it’s a good idea to educate yourself as much as possible. 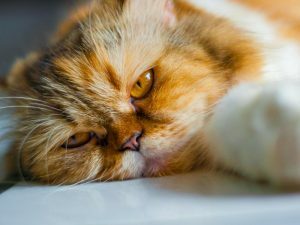 What Type of Cancer is Most Common in Cats? The most common type of cancer found in cats is lymphoma, which is related to the Feline Leukemia Virus (FeLV). Despite there being a vaccine for FeLV, many cats are still exposed to the virus, which greatly increases their risk of developing lymphoma. Skin cancer, or squamous carcinoma, is also common in cats – with Oral SCC accounting for about 10% of cancer cases in cats. This cancer typically involves a tumor that develops in muscle or connective tissue, but it can also occur in the mouth. 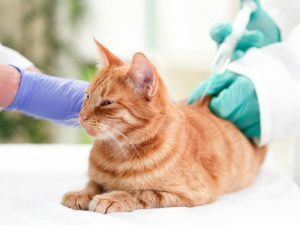 Lastly, tumors at medication injection sites called fibrosarcoma are also somewhat common in cats, though their occurrence is estimated at only 1 case per 10,000 to 30,000 vaccinations. Though less common, cats can also develop cancer in their lungs, liver, brain or nose. 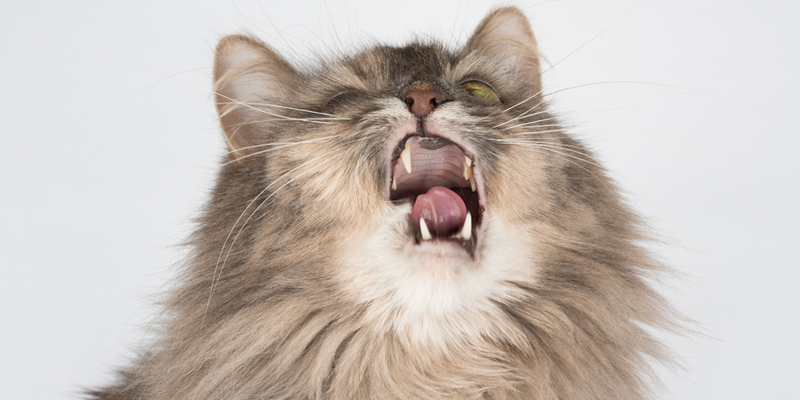 What are the Most Common Symptoms of Cat Cancer? What Should You do if You Suspect Your Cat has Cancer? 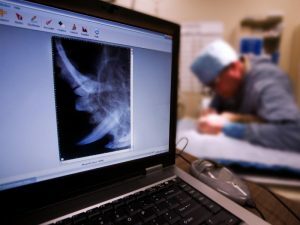 The first thing you should do is contact your veterinarian or a veterinary oncologist. It’s better to be safe and make a trip to the vet to find out for sure. If your cat is diagnosed with cancer, which can often take multiple tests, they will let you know what options you and your cat have for treatment. Depending what type of cancer your cat has, and what stage it is, some cats can live for years after being diagnosed. 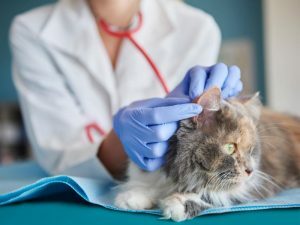 What Treatments are Used for Cat Cancer? Depending on the type and severity, surgery is the most common treatment. Radiation can also be used for inoperable tumors and in severe cases chemotherapy is used. What Can You do to Reduce Your Cat’s Risk for Cancer? You can significantly reduce your cat’s risk of mammary cancer by having them spayed. You should also have your cats vaccinated against FeLV. Most importantly, you should always bring your cat to the veterinarian for a yearly check-up. Less than 50% of cats currently receive yearly checkups. These vet visits are a necessity for tracking weight, hormone and other medical factors that can help to provide earlier diagnosis for many health issues. This Pet Cancer Awareness Month, it’s important to learn what to look out for, so that you can help catch cat cancer earlier. When choosing a veterinarian for your fur baby, make sure to look for a cat-friendly practice that specializes in caring for felines.